Today’s tips are inspired by the Daily Post: Recharge. As an introverted working mom, I don’t get a lot of alone time – and alone time is essential to helping introverts like me to recharge. I love people, I enjoy working with people during the day and enjoy my family in the mornings and evenings. I’ve learned though how beneficial it can be to recharge regularly. Even if it’s just for 15 minutes. If you can’t find time to recharge, you must make time. Take your breaks. Take all 15 minute breaks and lunch breaks, for heaven’s sake take them! I went years where I skipped breaks. I know better now and I take advantage of the time. I usually go on a walk alone or climb the stairs in my building. I often wear my favorite Yur Buds headphones (there’s only a 50% chance I’m listening to something though, you get this if you’re an introvert). You’ll come back recharged, with a clear mind, and you will be more productive. Use your commute to recharge. My commute is only about 12 minutes each way. Rather than mentally working on my way to and from work, I intentionally use the time to recharge. Some days that means singing to music with the windows down. Other days it means driving in silence. Keep your car clean and heck, make it smell good too so that it’s an enjoyable place to be. Buy yourself a cute car freshener to hang in your window. Ask for what you need. 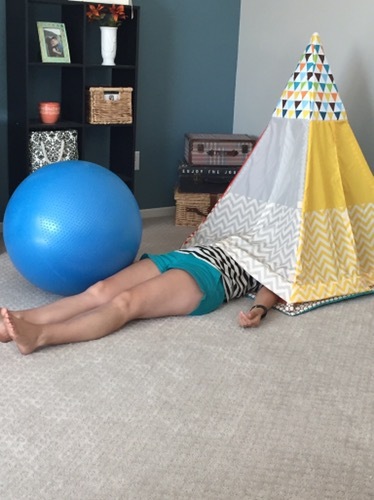 If you need 15 minutes alone after the kids go to bed, build it into your routine and ask your husband for help. If you need to get up 15 minutes early to drink coffee alone in the quiet, dark house, then do it. You will thank yourself. It was mostly a joke, but I’m not gonna lie – I stayed there for a few minutes. I snuck away each day when everyone seemed busy and organized my suit case by myself. I would come back downstairs full of energy and optimism like my whole life had just been put in order. 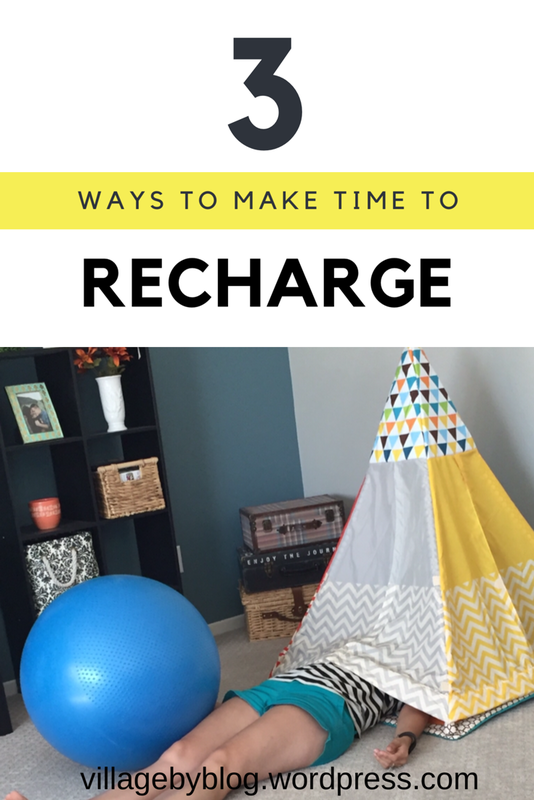 How do you find time to recharge, and what do you do with that time? Are you an introvert? If you to learn more about Introverts, I highly recommend the book Quiet by Susan Cain. Very cute ways to recharge yourself. As I am mom of 3 kids and working as well. My recharge time is shopping all alone. That really give me power. Oh yes I love doing that too! Shopping alone is the best! Absolutely love this post!! I am a mom who works from home and have been having a hard time with the balance of family and work both from home. Definitely important to recharge yourself! So important! It can be such a challenge, too, but it’s worth the investment in time because when you take time to recharge you will have more energy and patience and you’ll be more productive too! So awesome you work from home by the way, it’s not easy.